Featured in Chicago Agent Magazine Who's Who in Real Estate 2016, 2015, and 2014. Growing up in a family of real estate investors, Stephany Oliveros saw early on the power of real estate in building and preserving wealth. A homeowner, investor and developer herself, it's no surprise that she has become a highly regarded resource for Chicago buyers, sellers, renters and investors. She's earned a sterling reputation as a trusted advisor who provides careful guidance, immense creativity and flawless due diligence. Responsive, confident and personable, she has a knack for always making clients feel understood and expertly guided. With a solid background in finance, she's adept at communicating complicated data, and she finds great satisfaction in educating clients on creating wealth through investment properties and building equity in their homes. 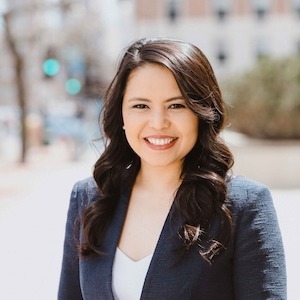 Throughout her more than 715 successful transactions, Stephany has received glowing reviews and industry accolades, and she's consistently ranked among the top 1 percent of Chicago realtors. Stephany has resided in Chicago for over 18 years and holds a bachelor’s in economics.. Devoted to giving back to the real estate industry, she's a leader in the Chicago chapter of the Asian Real Estate Assoc. of America and dedicated her time with the Chicago Assoc. of Realtors.